Week #5 Halifax, Glasgow, Aberdeen and Home | Schwervon! Finally got around to putting up the blog for the last few days of our European Tour. Enjoy and thank you for your support! This was our most successful headlining tour to date! If you’d like to check out our new album: COURAGE, you can purchase your own copy in digital or limited edition CD and Vinyl format from the Schwervon! Bandcamp page. Nan and Matt It was raining in Halifax when Michael (the promoter) picked us up at the train station. We had a little time so he took us to his local pub for quick pint. The pub we went to was called the “Big 6.” Can’t remember what the Big 6 meant but it was extremely cozy. Now if you’ve never been to a Traditional British Pub it’s a little hard to describe. They don’t really have anything like them in the states. The best way I can describe them is kind of like a cross between a bar and your grandparent’s living room. They’re always carpeted and usually have a fireplace, with a little dog and an old man nearby. Another general quality is that they are often in a place you would never know a pub existed unless someone told you about it. Unlike traditional bars, pubs are usually well-lit and closely quartered. I like this a lot because chances are you’ll be forced to share a bench and probably even interact with a complete stranger. But nobody really feels like a stranger in a pub. I suppose that’s kind of the point. The animal fun didn’t stop there. The next day it was off to Glasgow where our friends Adey and Ema (from London) had recently moved. We crashed with them at their lovely new flat. 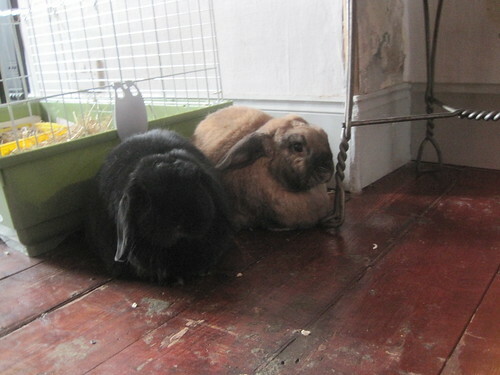 These are their two bunnies: Frederick and Mable. Glasgow was all about reuniting with old friends. The bill included Mandrake Shepard (our friend Paul’s band with his girlfriend Corinne). They did a dancepop set that evening which was funny and surprising and got the party going. Also on the bill were Frances and Eugene (from The Vaselines) doing solo sets. Frances’ songs reminded us of Nico a bit – beautiful and melancholy. Eugene’s songs have more classic neo-folk troubador stylings of Dylan. With a little Leonard Cohen sprinkled in his delivery. The highlight of the evening was when Frances joined us for a live version of the vocal part she did for our song Truth Teller. So far we’ve been able to do this song in Brooklyn and in Glasgow with her which is thrilling. Our final show was in Aberdeen at our friend’s Jackie and Gary’s favorite bar called the Brew Dog. It was also the day before Gary’s birthday! The Brew Dog is not your traditional British Pub. It’s pretty progressive actually, and they have all kinds of funky types of beers and ales in varying degrees of potency. There is a bottle of beer that is 55% proof called the End of History. And yes it’s served in a dead squirrel and goes for about 750 pounds a bottle. By the way, no squirrels were harmed in the process. Only about 15 bottles of the stuff were made and the squirrel source is claimed to be “road kill.” Yummy. One of the highlights of the show was playing with our friend Alan Cynic. He performs under the name The Kitchen Cynics and he’s one of my favorite songwriters. Since it was the end of the tour we gave ourselves a couple of days to decompress in Aberdeen before heading home. We had Jacqui’s Beef Wellington! And Fish n chips! 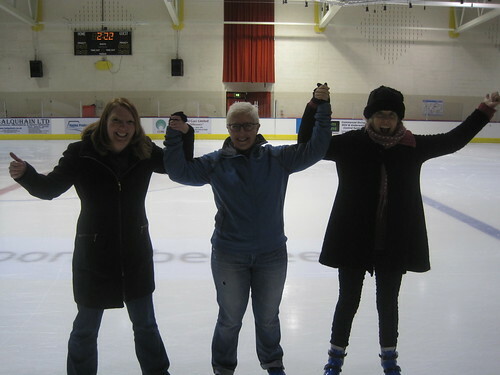 The first day Nan and Jacqui and a friend of theirs went ice skating. Old football injuries prevented Gary and I from participating but it was fun to watch. Nan wants to go ice skating all the time now. 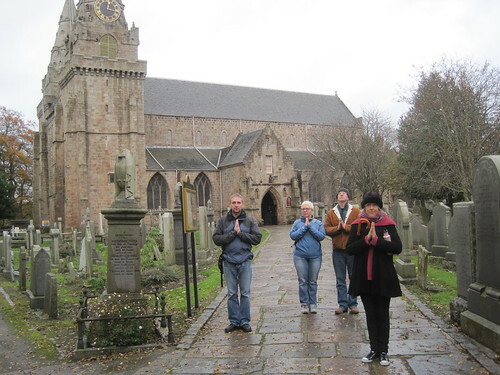 The next day Alan Cynic gave us a little tour of a part of Aberdeen that involved a bit of nature and some historic landmarks, including this church, which is rumored to have one of William Wallace’s limbs buried within its foundation. Here’s the crew giving it their best. 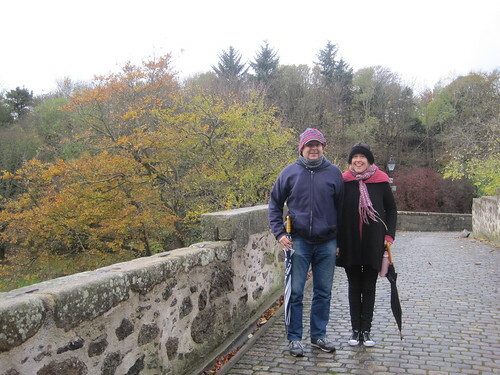 We also took a little walk over Scotland’s oldest bridge. There’s some kind of folk tale that involves Lord Byran and a virgin riding a virgin horse over it that I don’t really remember. Nonetheless, it was a charming wee bridge. Our flight home the next morning left at 5:30 am which meant we had to wake up at 3:00am. Ugh! It was presidential election day. We heard the early trends in the bleary eyed in the Aberdeen Airport. 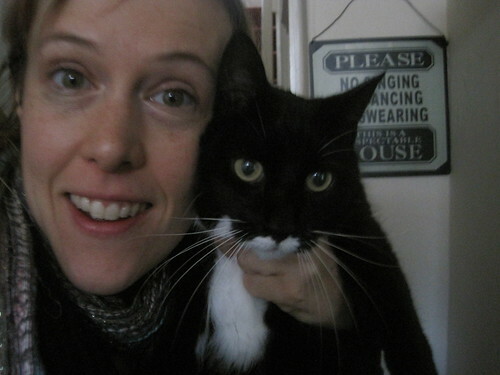 Needless to say we were relieved to return home with the return of Obama for a second term. Thanks USA for the nice homecoming present! And thanks to all our friends in Europe! This entry was posted in Uncategorized and tagged Aberdeen, Brew Dog, Courage, Europe, Glasgow, Halifax, schwervon pictures, schwervon tour pictures, Schwervon!, Schwervon! 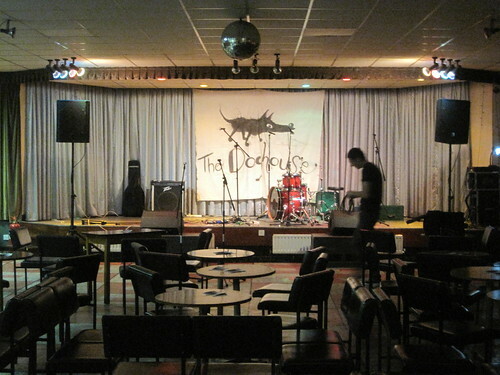 Band, The Doghouse, The Vaselines. Bookmark the permalink.